Free Shipping!! Limited to one per order. Our new offering. 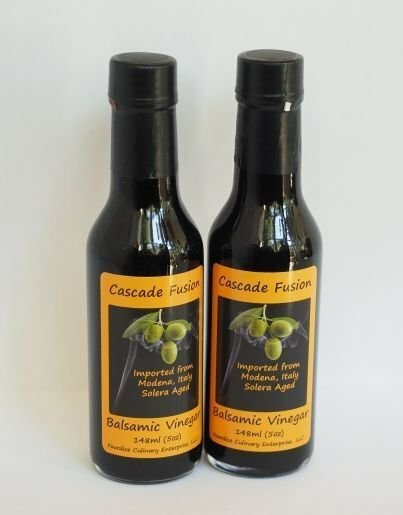 Cascade Fusion Balsamic Vinegar in our 148ml "woozie" bottle. Imported from Modena, Italy, solera aged, sweet, thick, awesome balsamic.